Dumbledore wasn't the only one who had "style". The future Minister for Magic was a critical member of the Order of the Phoenix...Kingsley Shacklebolt! One of the greatest Aurors ever, he helped keep Sirius' location a secret from the Ministry, saved the members of the DA during the Battle of the Dept of Mysteries, and bravely fought at the Battle of Hogwarts. After Voldemort came to power, he went into hiding, but remained active in the resistance effort, contributing to the Potterwatch radio broadcast under the alias....Royal. 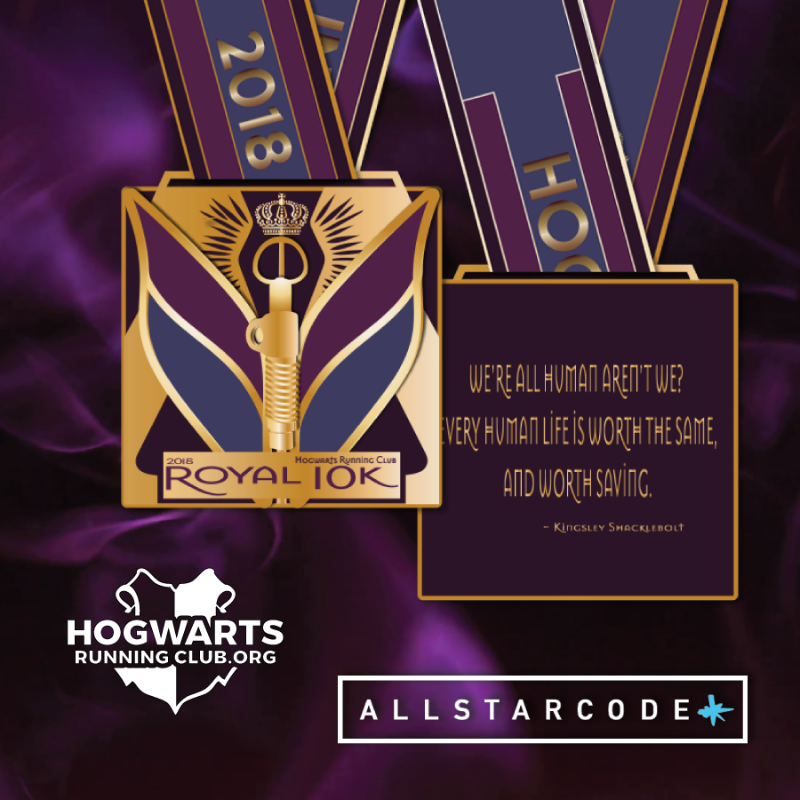 In honor of all of his incredible magical efforts, we are using our fifth event to celebrate Kingsley Shacklebolt with an awesome 3" medal, a beautiful sublimated ribbon, and Kingsley-themed digital bib! 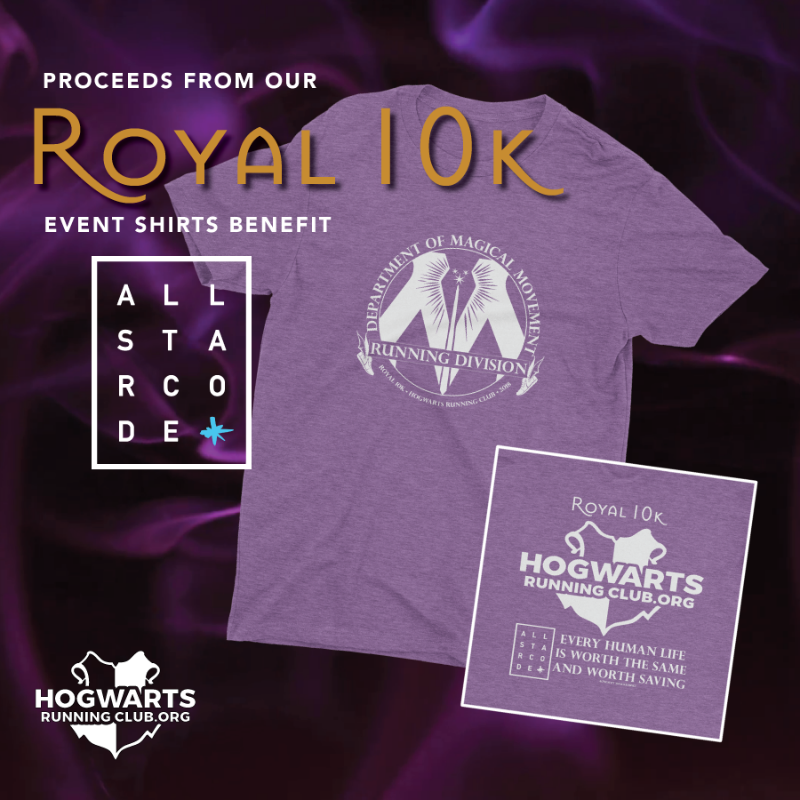 The suggested run date for the Royal 10k is Wednesday, August 1st...the anniversary of the Fall of the Ministry and Kingsley's warning at Bill and Fleur's wedding that allowed so many to survive. Remember, this is only a fun suggestion. You are welcome to complete your 6.2 miles/10 kilometers whenever you want! Registration closes at midnight on August 19th (or early morning on the 20th depending on your Time Zone). All medals will be mailed on Monday, August 27th. Sign up today and help 20 young men reach for their dreams! !